For any devout fan of Kraftwerk there's a fascination for their music in most any format. Señor Coconut Y Su Conjunto nailed the genre with El Baile Alemán (arguably the best covers of Kraftwerk theoretically humanly possible) but there's always room to expand the concept. If you dig Balkan sounds then the difficult-listening Trans-Slovenia Express is for you. Also: 8-Bit Kraftwerk for those with a chip tune fetish, an all Japanese band celebration called Musique Non Stop for the appreciative Gaijin, etc. and so forth. Feel free to comment below on your personal favorite covers that I likely don't know about. 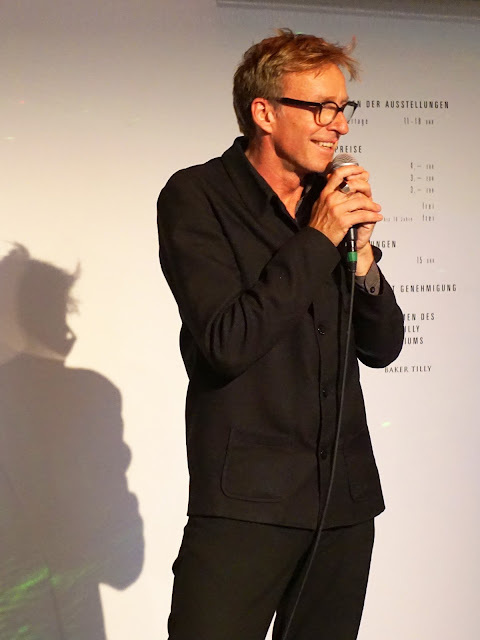 We had the fortune of attending (and recording) a live Thilo Schölpen gig in Düsseldorf which we walked into with no expectations or preconceived notions - and it turned out to be magical. Here's your favorite Kraftwerk songs rendered on a Wurlitzer electric piano (Fender Rhodes clone) by a maestro. I associate this instrument with bands like Steely Dan and Supertramp - and that's a good thing. Ordinarily Thilo would play on a proper concert grand piano but they're pretty hard to schlep to venues so here he's making do with one less octave on an abbreviated keyboard. This was recorded the day after the Düsseldorf Kraftwerk Tour de France concert July 2, 2017 at the Kunst Im Tunnel Cafe on the Rhine, a venue known for hosting artistically rewarding musical events. A Roland R-05 served yeoman duty here, a great gadget for lovers of live music. Any fan of Kraftwerk and the Fender Rhodes electric piano will likely swoon over this live recording. Thilo's axe: the Wurlitzer twin of the archetypical Fender Rhodes. Thilo's a rather cool guy. I'm taking notes.